And that isn’t a bad thing. You see, Steve is just wired to work hard. When I first met Steve he seemed to have this pulse of energy running inside him and I didn’t understand it until he started telling me stories. Steve was the kid who was sweeping floors at his family cabinet shop until he was old enough to get a paper route. In high school he spent every spare minute working at the cabinet shop and then after graduation he started working at a different family business – Willie’s Dumpster Service. Willie hired him to work in the shop and complete odd jobs… basically a “get it done” type job. And get it done he did. Steve was never a kid who just sat around. At 21 he joined the local 49’ers and started working as a Pipe-liner where is life quickly fell into a routine. 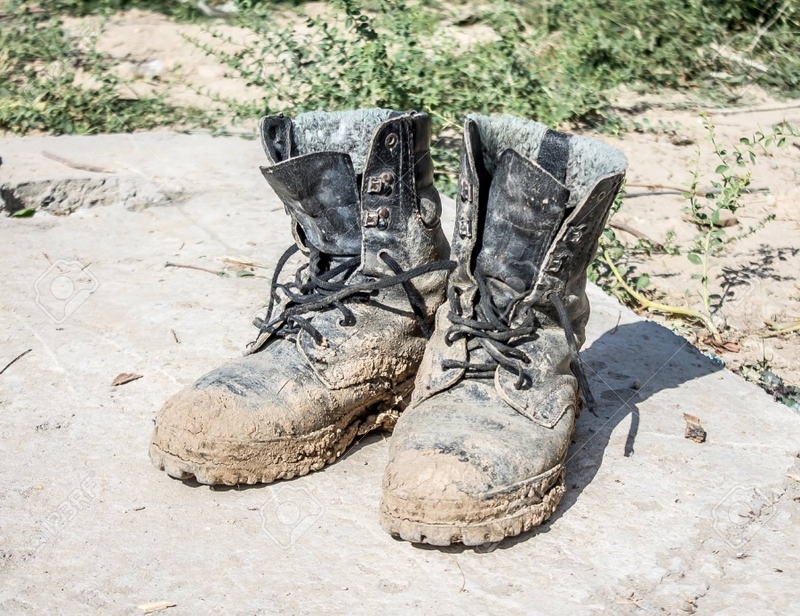 He woke up before the sun, he ate a bowl of cereal in the dark, laced up his dirt encrusted boots and drove 2 hours to the jobsite At the end of the job he and the crew simply moved on to the next. There was no creativity; and no customers to speak with. Just a boss with a deadline and a smooth pile of dirt where a hole had been. He was promoted through the ranks until he was running his own crew but it wasn’t enough. For 19 years he spent every day doing the same thing, after the same long drive, with the same battered lunchbox in tow. He dreamt of a different life. He anxiously waited for the winter layoff so he could spend the days doing what he loved… remodel things. One week he would re-tile a friends bathroom and the next week he would start gutting a kitchen for that friend’s parents. It didn’t take long for the “I’ve got a guy” referrals to fill up his whole winter. He loved the change of pace but I loved seeing him come home happy. And then every spring when the ground thawed he went back to work. That last fall was the hardest for him. The repetition was crushing his soul. The layoff couldn’t come soon enough that year for either of us. That’s when I vowed he would never again return to that dirty ditch. Together we stripped away the dirt, the steel toe boots and the beat up lunchbox. We remembered how he came alive when describing the transformation of a space and the reactions he got from his customers. I reminded him how much he loved discussing a project with someone and working with them to make decisions. Slowly we pulled out the best parts of him his new identity of Steve the Window Guy emerged. He said goodbye forever to his ditch-digger days when he would strip down to his underwear on the porch, so dirt wouldn’t be tracked through the house. He vowed to never again to try and please a boss who refused to smile and he chose to focus on customers he could help smile. And he smiled; every day. That was over a decade ago. Steve is still that same kid from his Dad’s cabinet shop with the big goofy grin and the unstoppable energy. For him it has always been about the vision to transform something into a better version of itself. From a cabinet, to a maintenance shop, to a friend’s kitchen, everything he touches is left a little bit better. He will transform your home one window, door, roof, or siding at a time. Steve the Window Guy. You’re gonna be glad you did this. Wife, Operations Manager, and Steve’s Biggest Fan. Your home transformation is waiting. The first step is talking with one of our consultants and getting you a price. We are a MN licensed contractor working throughout the Twin Cities Metro.